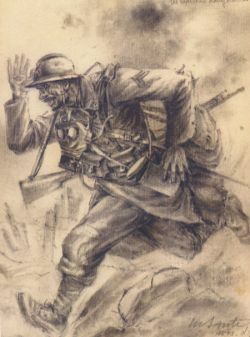 "Those who had to move, the "Agents de Liaison" (messengers or "runners"), the stretcher bearers, the telephonists, the ration carriers... all needed to be sure of foot. Sometimes they fell into the shell holes in which liquid mud had collected. It was often a terrible death. Anyone who got lost was in terrible danger; if they were alone and slipped into a shell hole they were lost forever." Above: It is always difficult to associate frail old men in out of date suits and proudly worn medals with the young men that went through a hell we can only imagine. 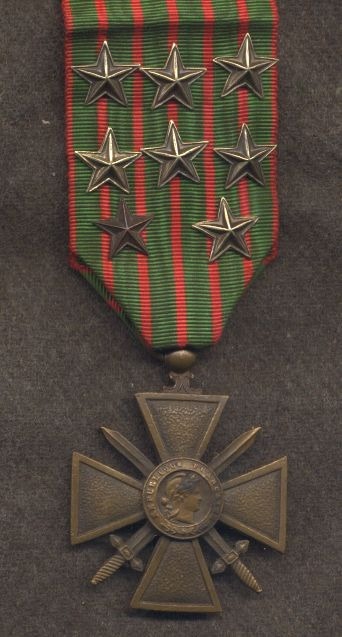 Aime was awarded the Croix de Guerre eight times, he also recieved the Medaille Militaire and was one of only 19 "other ranks" in his regiment to be awarded the Belgian Croix de Guerre. 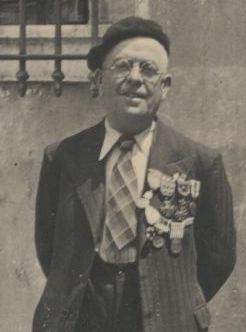 Many years after the war he made a Chevalier of the Legion de Honneur. During the course of the war he fought in Flanders, took part in the terrible slaughter of Verdun and in the Champagne. The 4th Zouaves were part of the elite 38th Infantry Division, a division chosen for dangerous assaults at Verdun, in the Champagne, at Fort Malmaison and in numerous other sectors. Aime was fortunately wounded only once during the war, a shrapnel wound to the right arm in 1915. As time permits I will add more of his awards and citations. Above: Messengers/Runners of the 4th Zouaves, many highly decorated.